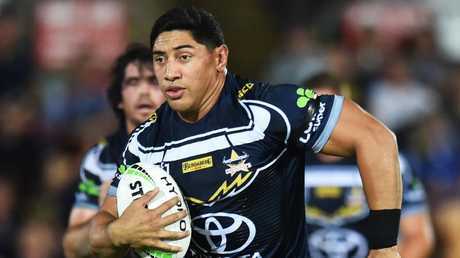 North Queensland's other JT, Jason Taumalolo, admits he still wants to get better after producing one of his best games for the Cowboys on Saturday night. 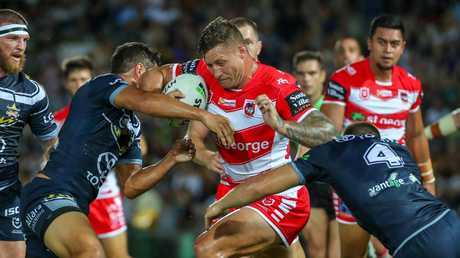 Before 18,415 fans last night, North Queensland defeated St George 24-12 on a wet night at 1300Smiles Stadium, led by a rampaging Taumalolo. 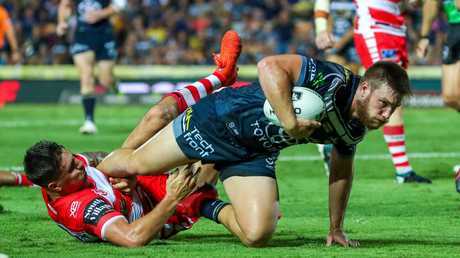 The 117kg monster forward amassed a personal best 301 running metres in 64 minutes after being shifted out on to the left edge for the Cowboys. His previous record was 283 metres set in Round 15, 2017 against Melbourne. The move to the edge proved key to the Cowboys success after he made two crucial linebreaks which both led to North Queensland tries. Despite his unstoppable performance, the Tongan international admitted he thinks he can still do better. "I was struggling for the whole game," he said. "That tends to happen in round one. "Obviously at times, I didn't know whether (playing on the edge) would work or not. It was more the physical side of things. At the start, we were doing back to back defensive sets and the boys hung on there. Personally from my side of things, I think I can do a bit better there (defensively) but it's still only round one. "It's just more of a mental thing for myself. I was tired." Coach Paul Green said Taumalolo's ability to play on the edge gave him the flexibility to rotate his monster forward pack. "He was good, he was very good," he said. "He was a handful, as always. "I thought (shifting him to the edge) worked pretty well. I thought it kept pressure on the opposition in that middle of the field. "It gives me a bit of flexibility too, depending on the style of game we want to play." Last night's win broke North Queensland's three-game losing streak against St George and was their first win against the Red V since April 2, 2016. The Cowboys were slow out of the blocks, falling to a 6-0 deficit after just 11 minutes through missed tackles and costly errors. It took them half an hour to get first points on the board but once they were over, the tries continued to be piled on. Green's late minute change in benching Cowboys veteran Gavin Cooper and starting former McGuire proved to be a bittersweet move. McGuire showed some grunt up the middle of the field but his aggression proved too costly when he was penalised for a shoulder charge early in the second half. The club's new captain Michael Morgan also didn't seem fazed by the loss of champion playmaker Johnathan Thurston as he led his team from the front foot. 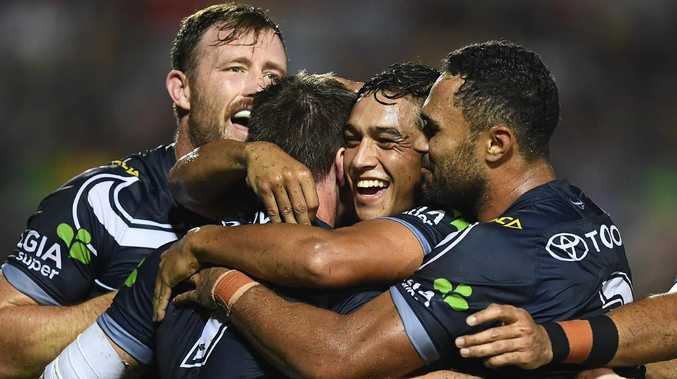 The Cowboys' $5 million man proved why he was worth the price tag with a good kicking performance topped off with a try in the 58th minute. The Dragons came close to posting the first points of the match had it not been for some good scrambling defence by Cowboys' centre Justin O'Neill. A smart 40/20 kick by Morgan was able to put North Queensland in good attacking position but failed to capitalise following a McGuire knock on ten metres out from their try line. Fullback Jordan Kahu knocked the ball on ten metres out from the Dragons' line and was pounced on by five-eighth Corey Norman which resulted in a try to centre Euan Aitken in the next play. The closest the Cowboys came to crossing the line came when right centre Tom Opacic was able to break through the line but lost the ball in attempting to reach for the line. 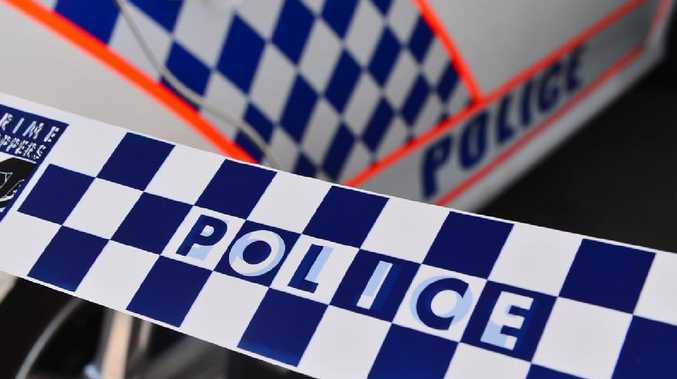 Cowboys' utility John Asiata produced an outstanding offload to a barnstorming Jason Taumalolo in the 32nd minute to set up North Queensland's first try. Quick hands by Morgan and O'Neill was able to send Javid Bowen over in the left corner. Fellow winger Nene Macdonald was able to score his first try against his old club when he crashed over just before halftime, taking the Cowboys' to an 8-6 lead at halftime. With sixteen tackle breaks at halftime, Green would not have been impressed with his side's defence. However, their attack in the second stanza was much better through hard runs up the middle and clever offloads. Morgan's four-pointer was followed up by a Te Maire Martin try in the 65th minute following another linebreak by Tauamalolo. Their evening was topped off with a brilliant try to O'Neill, following a clever Morgan grubber through the defensive line. Dragons winger Jordan Pereira scored in the dying seconds of the match to take the final score to 24-12.